With the clear warm days we’ve just enjoyed and more to come, our gardens and parks have been buzzing with pollinators: bees and Anna’s hummingbirds. 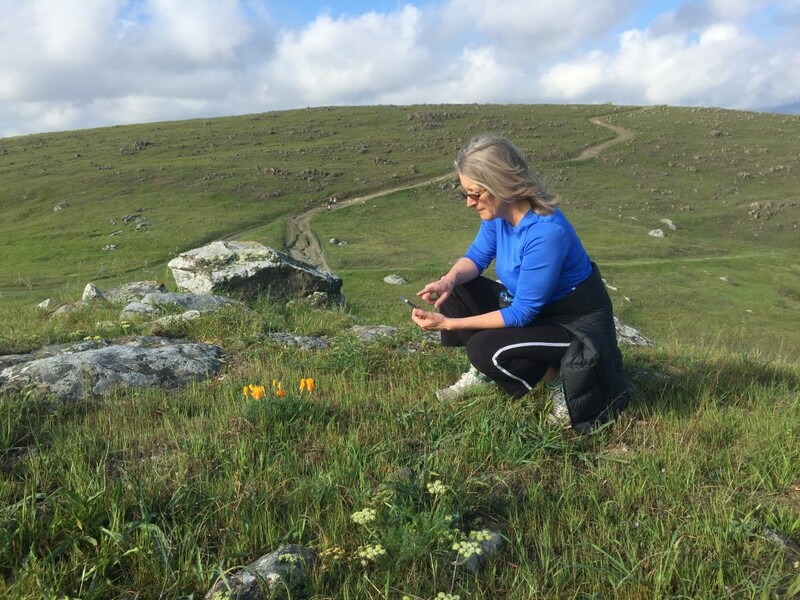 Searching out the newly blooming flowers for nectar and pollen, the insects and birds point to spring. Scientists and naturalists are concerned, though, about the decline in honeybee and native bee populations. 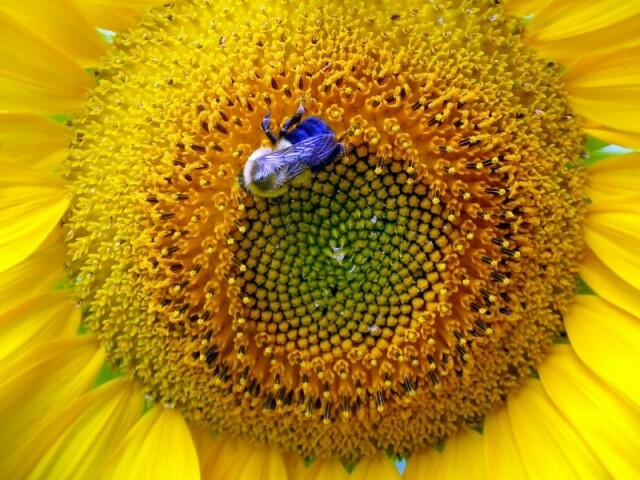 Every third bite of our food is pollinated by bees, and the value of pollination services from wild pollinators in the U.S. alone is estimated at $4 billion to $6 billion per year, according to the Great Sunflower Project. A February review for Science Magazine, co-authored by University of Sussex biology professor Dave Goulson, notes that bee populations are falling because of the combined stressors of pesticides, parasites, and a decline in the abundance and variety of flowers. The review says climate change is likely to exacerbate all of these problems. Research has pinpointed a class of widely used insecticides called neonicotinoids as likely culprits for the collapse of honeybee colonies. At certain levels of exposure, these chemicals can poison bees, and at lower levels, they can weaken bees' immune systems, making them more susceptible to infection and parasites. Even home gardeners who want to cultivate bee-friendly habitats may unknowingly expose bees to these insecticides. Tests on common garden plants and seeds marketed as "bee-friendly," and purchased from commercial retailers around the country, found more than half of them had been treated with neonicotinoids, according to a 2014 Friends of the Earth report. The Great Sunflower Project, started in 2008, is one way anyone can assist with monitoring bees and improving their habitat. It has some resources to help you assess your garden for pollinator-friendly plants, as well as find retailers who provide pesticide-free plants and seeds. You don’t have to be an expert to participate in the Project. Everyone, including school kids, can sign up and log their observation data into the organization's nationwide system. 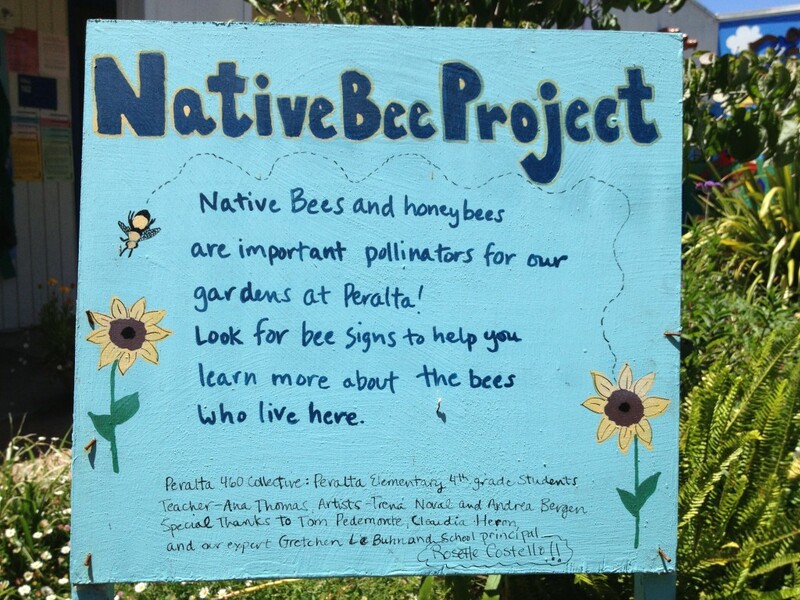 The Bay Area has a very high participation rate, with many folks contributing to pollinator knowledge. It’s easy to get started, too -- just a commitment of five to fifteen minutes of observation and then enter your findings online. Whether you monitor your yard or nearby open space for pollinator activity or simply get out to enjoy the nice days ahead, I hope you’ll notice the busy pollinators at work around us.